In August 2018, sales of the S-Cross showing a marked decline. From a steady 4,000+/month units that the crossover used to sell on an average, sales dropped to just 914 units in August. The reason is now out in the open. 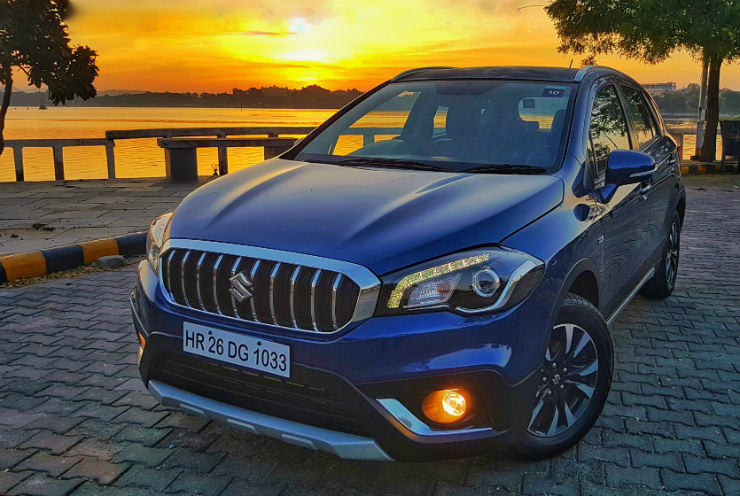 Maruti slowed down dispatches as it was busy equipping the S-Cross with more features. Along with the new features, the price of S-Cross has also been bumped up. Prices of the crossover now start from Rs. 8.85 lakhs, ex-showroom Delhi, a Rs. 24,000 increase on the Sigma variant. The Delta, Zeta and Alpha variants have also gotten pricier, and now sell at Rs. 9.97 lakhs, Rs. 10.45 lakhs and Rs. 11.32 lakhs respectively. As for the feature additions, the Maruti S-Cross now gets rear parking sensors, a speed-alert system and a passenger seat belt reminder as standard. The Delta variant gains a smartkey feature with push-button start, automatic climate control, cruise control, rear wash/wipe functions and auto-folding wing mirrors that also gain integrated turn indicators. Mechanically, the car remains unchanged. The familiar 1.3-litre Fiat Multijet turbocharged diesel motor is standard across variants. This engine pumps out 89 Bhp-200 Nm, and is paired to a 5-speed manual gearbox as standard. The S-Cross will continue to be sold through Maruti’s premium range of NEXA dealerships. In the coming months, the S-Cross is likely to gain a petrol-hybrid option. The 1.5-litre K-Series petrol engine found on the Ciaz is likely to be offered on the S-Cross, along with the Suzuki Hybrid Vehicle System (SHVS) mild hybrid system. With a fuel-efficiency rating of 18 Kmpl, the S-Cross Hybrid will be India’s most fuel-efficient compact SUV. The S-Cross competes with vehicles, such as the Hyundai Creta and Renault Duster in India’s compact SUV segment. While the S-Cross looks more like a butch hatchback than a compact SUV, Maruti’s marketing and distribution muscle has ensured that the crossover sells over 4,000 monthly units on an average. This makes the S-Cross India’s second best selling compact SUV, behind the Hyundai Creta, and a much better seller than the Renault duster and Nissan Terrano. The crossover offers ample ground clearance, a fresh design and stylish interiors. That it’s a Maruti Suzuki makes it a solid buy for most considering the widespread sales and network of India’s top automaker.